Ceremony of Freeing Slaves Lincoln Shrine Redlands - Abraham Lincoln - Presidents and Political - Vintage Postcards | VintagePostcards.com: vintage, old, antique postcards for collectors. 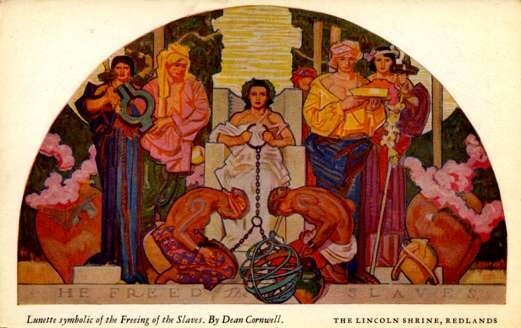 "Lunette symbolic of the Freeing of the Slaves. The Lincoln Shrine Redlands."